Ever since entering the NBA, LeBron James has always had the comparison between himself and NBA legend Michael Jordan follow him throughout his 16-year career. On Wednesday night, James needed just 13 points to surpass Jordan in all-time points, and he accomplished just that against the Denver Nuggets. James is now in sole possession of fourth place on the all-time list, only behind Kareem Abdul-Jabbar, Karl Malone, and Kobe Bryant, after this and-one layup, displaying his trademark power. With James passing Jordan, that doesn't mean ​the nonstop debate between career accomplishments will ever end. James has a substantial lead in terms of assists over Jordan (5,633). However, Jordan has been known for putting the team on his back, both figuratively and literally, as he put up monstrous scoring clinics in games throughout his career. Jordan has the points average (30.1) and, of course, the NBA Championships (six to LeBron's three). 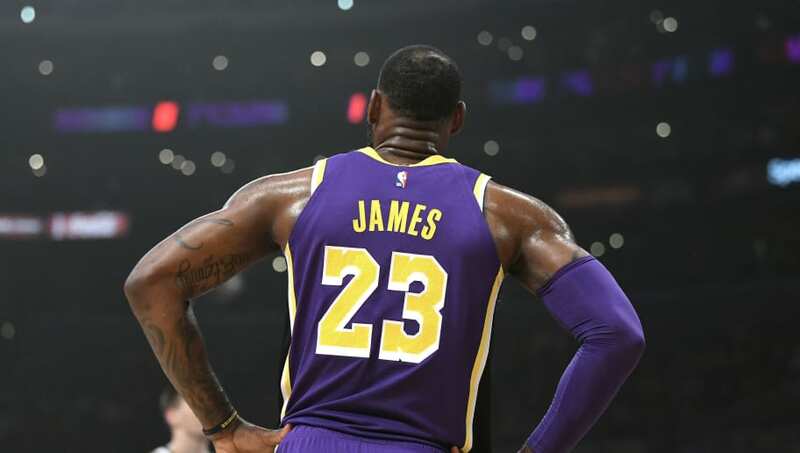 Not to mention, many will point to James' ​disastrous debut season with the Los Angeles Lakers in terms of leadership, when comparing him to Jordan. At 34 years of age, James still has plenty of seasons left in the league, which is crazy, considering he made his NBA debut at 19. It will only be a matter of several seasons before LeBron likely takes the crown as the NBA's all-time leading scorer. And that at least deserves co-GOAT status, in our book.